Are you the adventurous type of traveler that always prefers to be close to where all the action is happening? Then you should definitely find accommodations that are situated closer to Central London, as this is the landmark for most of the British symbols in this beautiful capital city of England and the United Kingdom. This is why we would warmly recommend you to choose one of the Best Western Hotels. In case you need a Heathrow Airport transfer to a central location, then Best Western Ilford is the best destinations for you. Thus you will have access to any public or private means of transport. Moreover, the hotel has 3 starts, which means that the price is affordable, yet the customer service is great. The architecture of the hotel and also the interior design can be described as being luxurious, as everything was chosen and organized in style. Moreover, the staff is multilingual and it will be much easier for you to communicate with any of the employees. This means that they can indicate certain touristic objectives and simply help you get around London in an efficient, yet friendly manner. In order to get a Heathrow to Best Western Ilford Transfer by rail, you have three main options: 1. Get the train from Heathrow Airport Terminal 1 (every 15 minutes) via Paddington (H&C every 5 minutes) and London Liverpool Street (every 10 minutes), and finally walk for 9 minutes. This journey takes about 1 hour and 6 minutes. 2. Take the train from Heathrow Terminals 1-2-3 (every 5 minutes), the bus from Holborn, Procter Street (WC1 – line 25 every 5 minutes) and then a9-minute walk. This journey takes about 2 hours and 8 minutes. 3. Take the bus from Heathrow Central Bus Station (every 60 minutes) via St James, Trafalgar (every 15 minutes) and City of London, Bank Station (line 25 every 5 minutes); and finally enjoy a 9 minute walk. This whole journey takes about 2 hours and 24 minutes. A Heathrow to Best Western Ilford Transfer by car can be done by taking the A406 motorway. 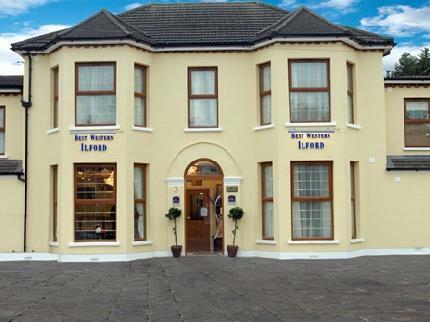 Heathrow Airport is at a 33.3 miles distance from Best Western Ilford Hotel. This journey will take about 56 minutes, without including traffic. A Heathrow to Best Western Ilford Taxi with 247 Airport Transfer is going to take about 1 hour and 25 minutes, including rush hour traffic. 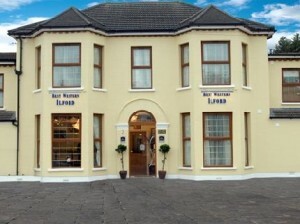 The price for a Heathrow to Best Western Ilford Taxi starts from 56 GBP.